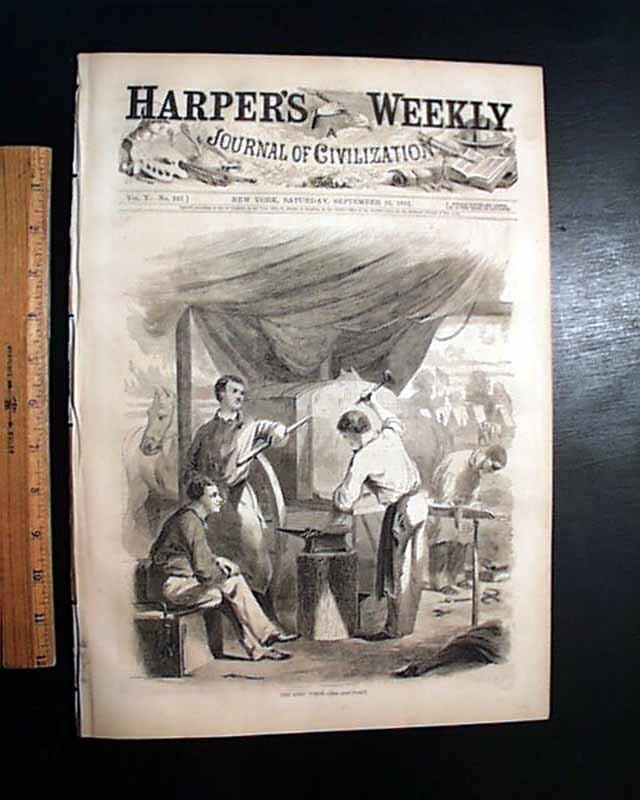 HARPER'S WEEKLY, New York, September 21, 1861 The full front page shows: "The Army Forge" (see). 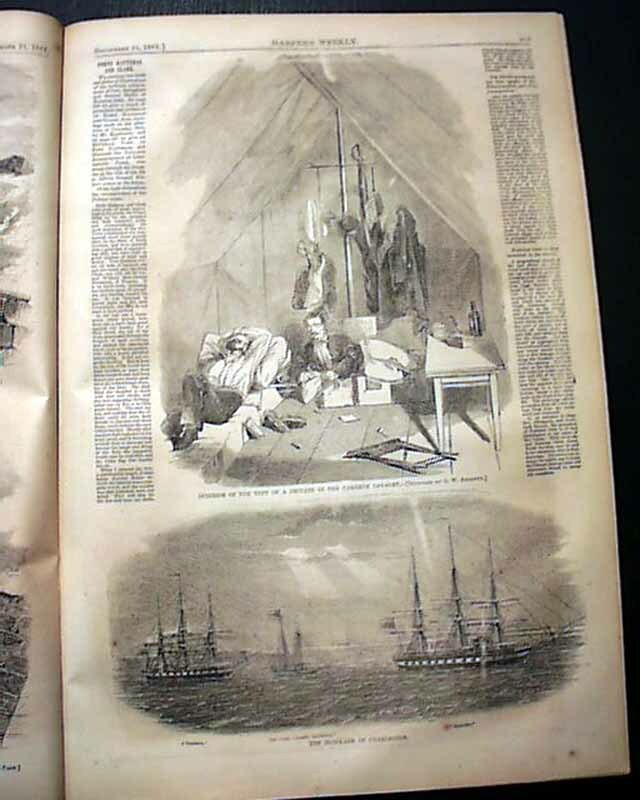 Inside has several half page prints including: "Hqts. 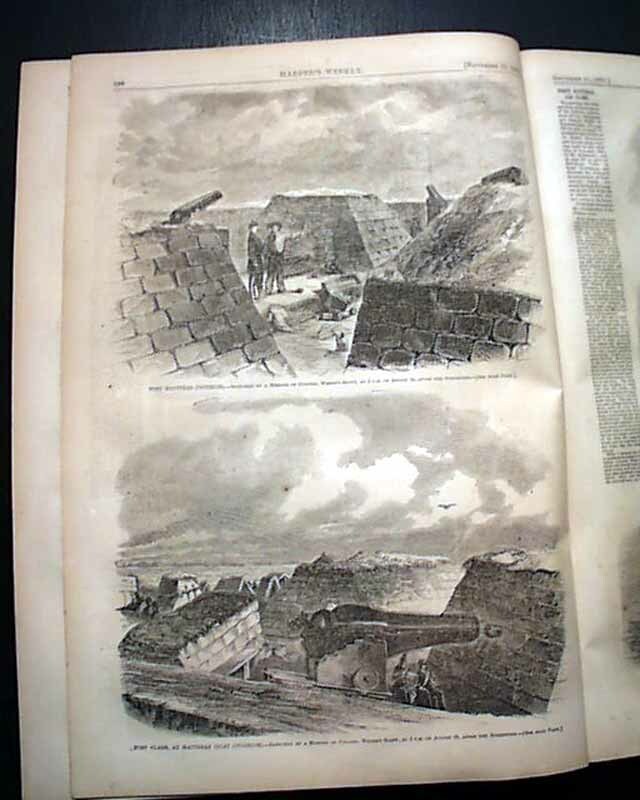 of Major-General Fremont's Bodyguard at St. Louis, Missouri" and "Camp Blood Near Pilot Knob, Missouri" and "Gallant Exploit of Aid-de-camp Fiske at the Bombardment of Fort Hatteras" and "View of Fort Hatteras Just before the Surrender--Col. Weber's Force Under the Walls" and "Fort Clark, At Hatteras Inlet (Interior)" and "Fort Hatteras (Interior)" and "Interior of the Tent of a Private in the Cameron Cavalry" and "The Des Moines Cavalry Company Leaving Des Moines (Iowa) for the War" and "Return to Davenport of the Iowa First Volunteers". 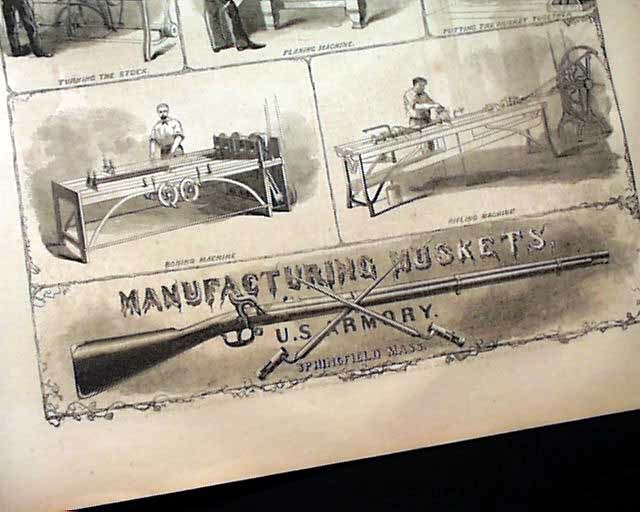 There is also a very nice full page print of: "Manufacturing Muskets, U.S. Armory, Springfield, Mass." 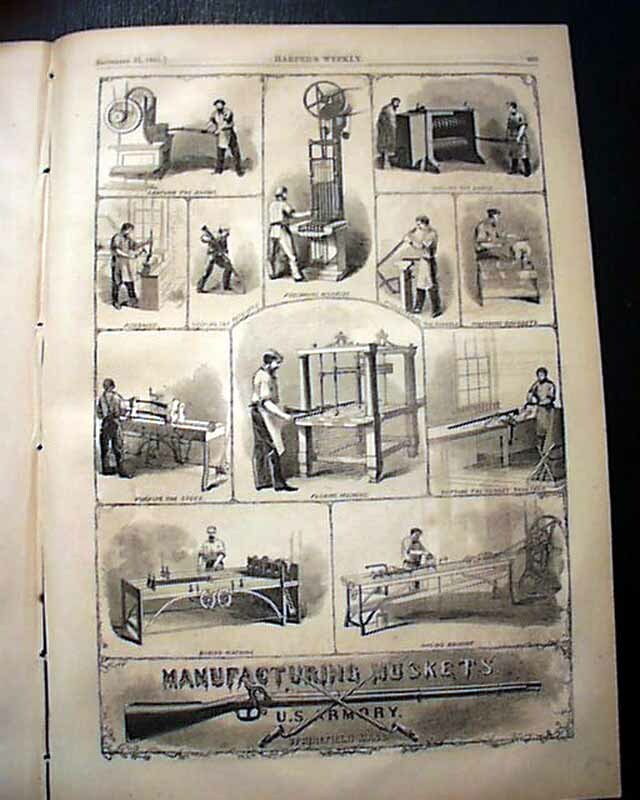 which includes 12 prints. 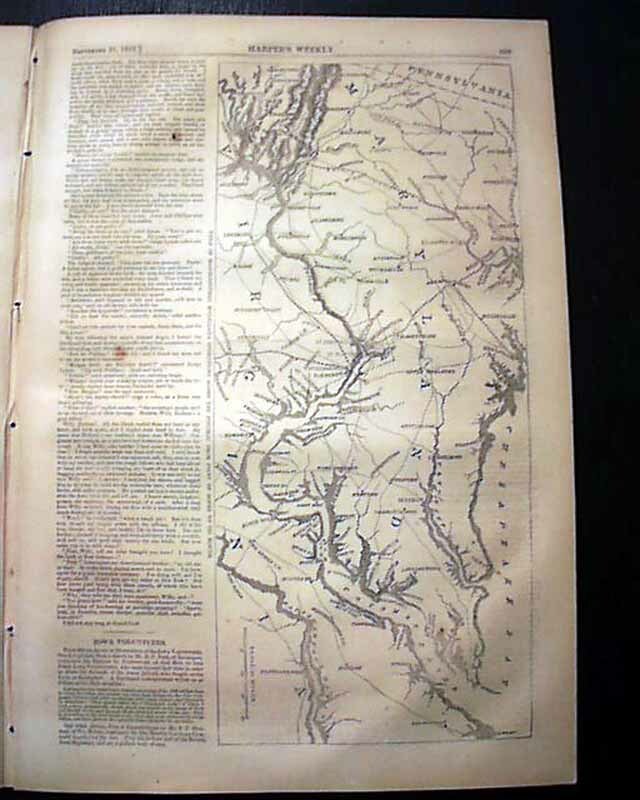 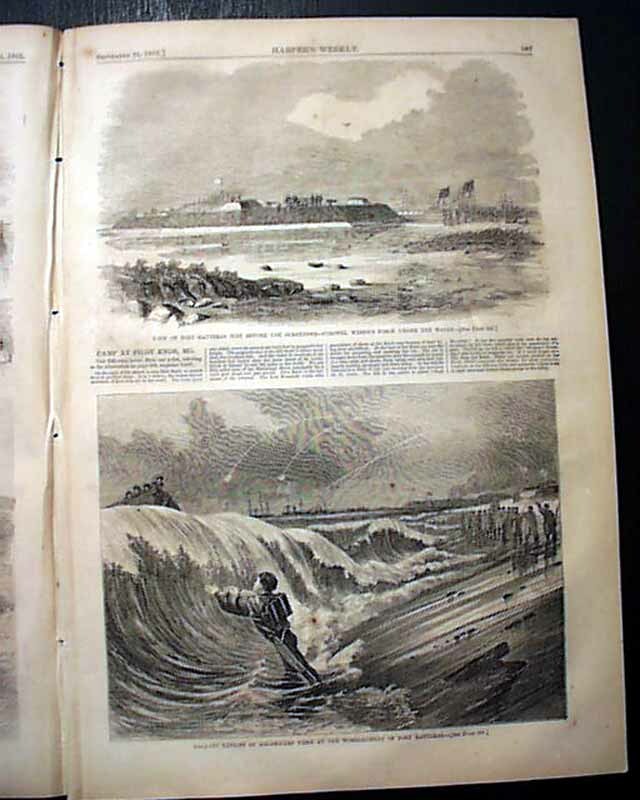 Also a two-thirds page map of the: "Field of Major-General McClellan's Operations Along the Potomac from Point of Rocks to its Mouth"; a one-third pg print: "The Blockade of Charleston". 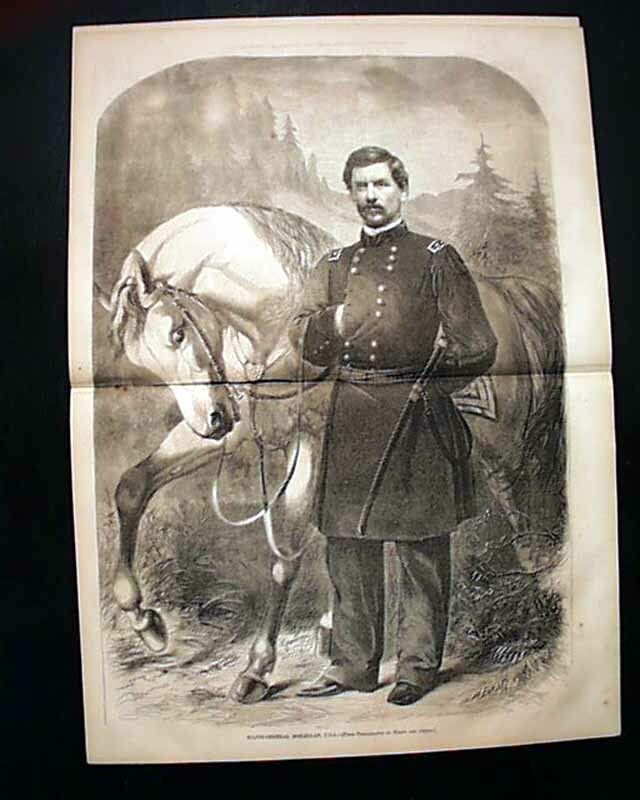 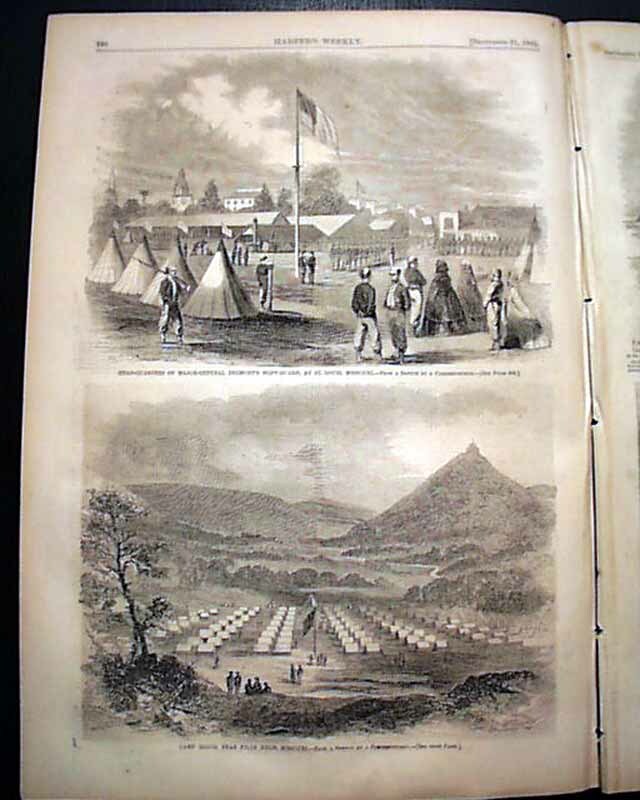 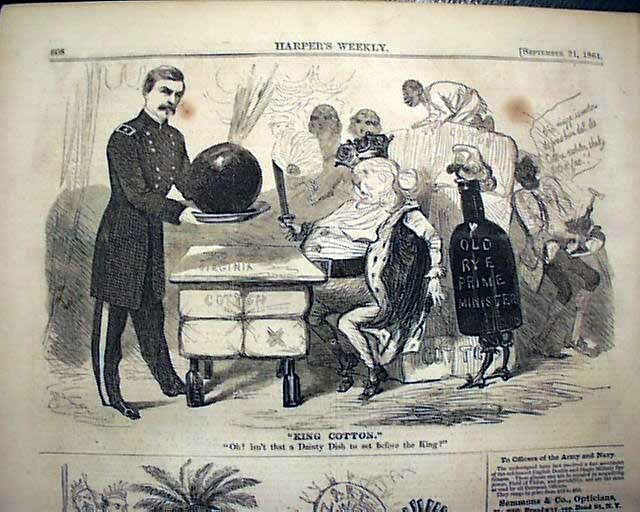 Perhaps the most impressive print is the nice doublepage centerfold of: "Major-General McClellan, U.S.A."
The back page has 2 political cartoons. 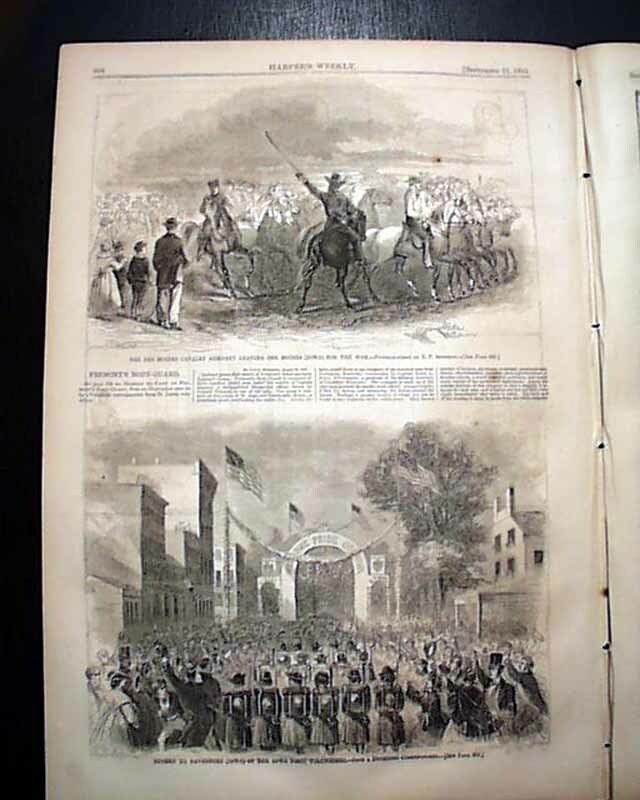 Complete in 16 pages, very nice condition.